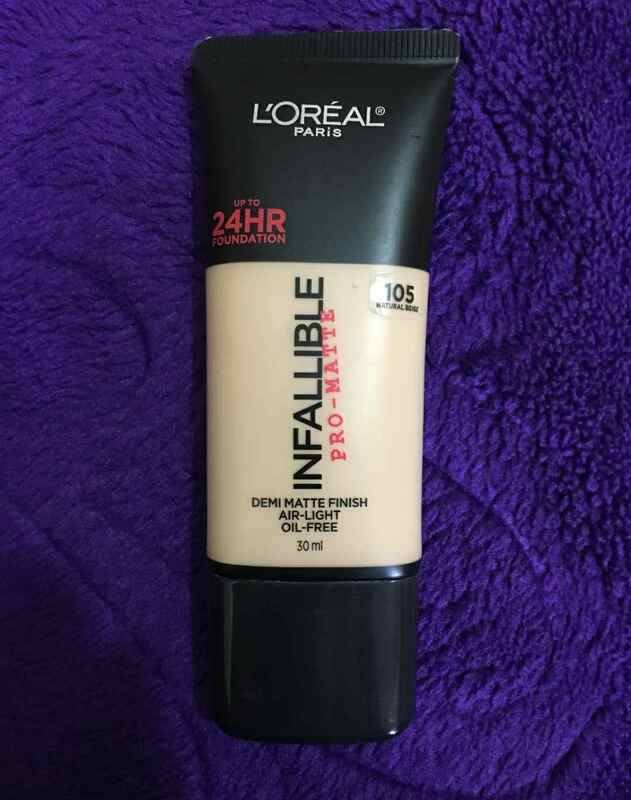 Today I am here to review L’Oreal infallible pro-matte 24hr foundation. I have been using it for a couple of weeks now, and here I am ready with my review. I have a combination skin type and my T-zone and upper lips tend to be very oily especially during the summers. So I have been always in a hunt to find a good long stay matte foundation. A month back I was just searching for a good matte foundation on YouTube and I came across this. 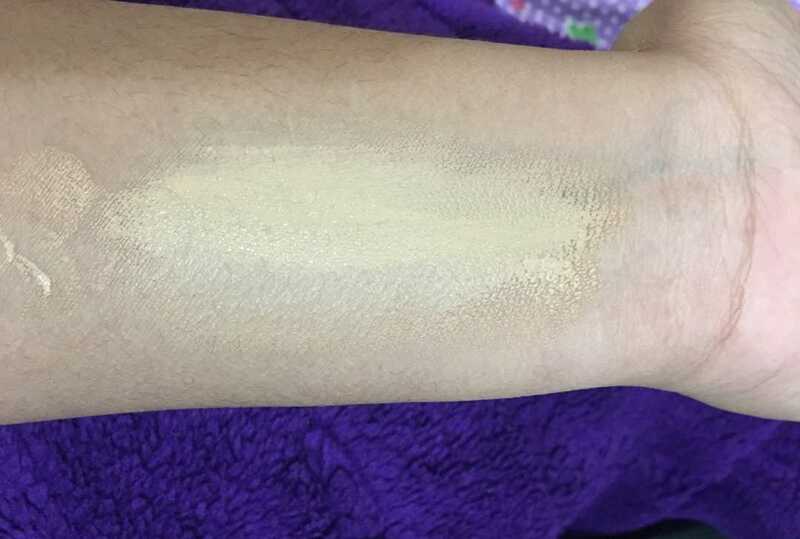 I bought it from the L’Oreal store in my city by swatching the shade that suits me the best. L’Oreal infallible pro-matte 24hr foundations claim to be a long-lasting liquid foundation which has the power to stay up to 24hrs. It has got a demi-matte finish, medium coverage, long-wearing formula and has the power to fight against makeup meltdowns. It also claims to be air-light on the skin. Aqua/Water, Pentylene Glycol, Dimethicone, Isododecane, Disodium Stearoyl Glutamate, Nylon-12, Acrylates/Polytrimethylsiloxymethacrylate Copolymer, Magnesium Sulfate, Silica, Butylene Glycol, PEG-10 Dimethicone, Isohexadecane, Magnesium Gluconate, Isononyl Isononanoate, Calcium Gluconate, Synthetic Fluorphlogopite, BIS-PEG/PPG-14/14 Dimethicone, Phenoxyethanol, Caprylyl Glycol, Acrylates Copolymer, Disteardimonium Hectorite, , Perlite, Tocopherol, Aluminum Hydroxide. It retails for Rs. 999 for 30ml of product. 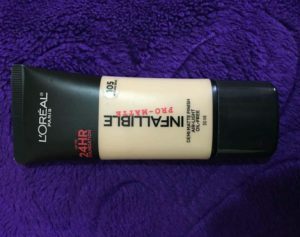 You can get this foundation from loreal stores as well as on popular shopping sites such as Myntra, Nykaa, Amazon, Flipkart etc. The product comes in a sturdy yet easily-squeezed tube. The tube has a twist open/close cap made of plastic. 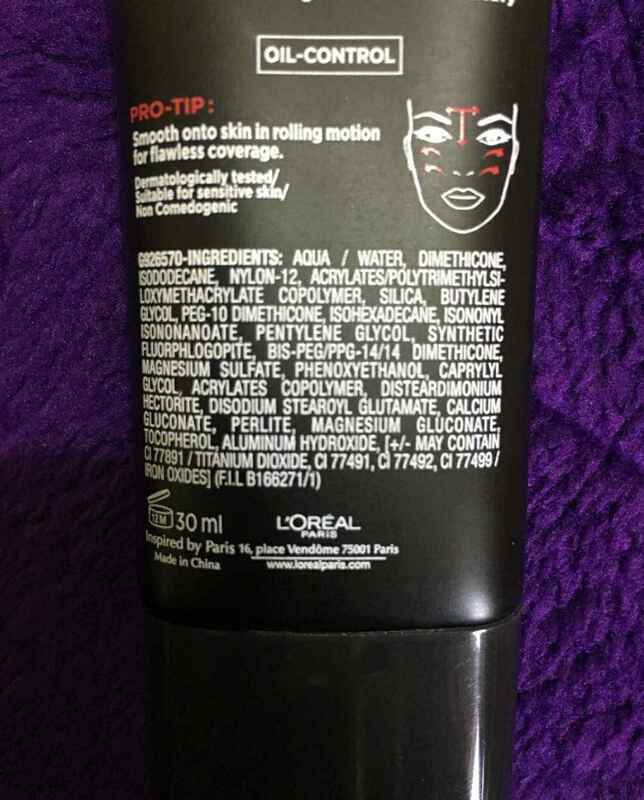 In the front side, you can see the L’Oreal Paris logo, information about what it claims to be and the shade number as well. I really liked the concept of keeping the front side of the tube half transparent, so that the shade inside the tube is easily visible. 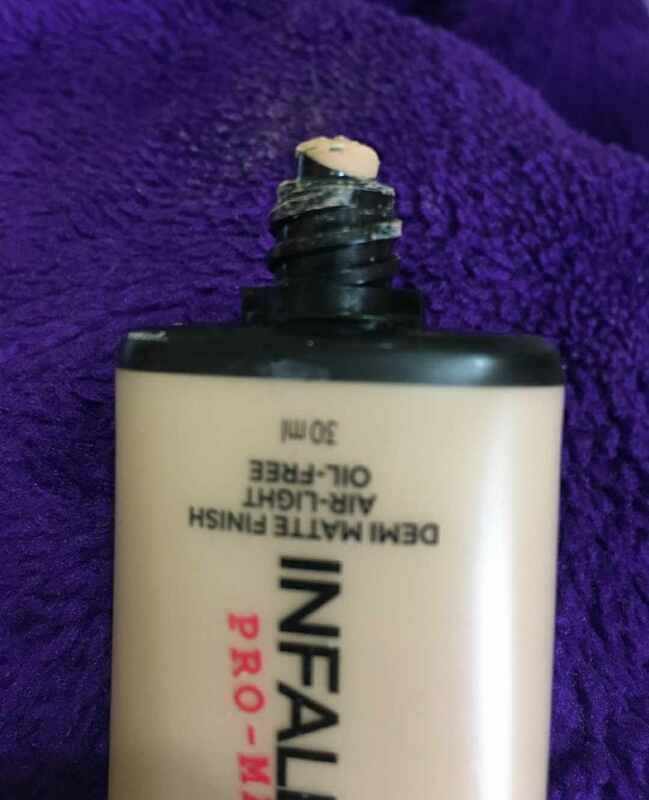 Also, the tube allows you to squeeze out the amount of foundation that you really need, unlike the other foundation bottle that comes without the pump. Overall the packaging is good and travel-friendly. It is supposed to be fragrance-free but it has a very mild foundation-like smell in it. The texture and consistency of this foundation are not at all running, in fact, it is somewhat thick in its consistency. As it is a matte foundation it dries out very quickly after you apply it on your face. So you have to be really quick to blend your foundation once you have applied it on your face. It claims to provide medium coverage. But for me, it is a full coverage foundation because I don’t have too much acne and scars to be covered up on my skin. This foundation is definitely buildable which means if you don’t get full coverage after applying once, you can apply it again all over your face to build full coverage. 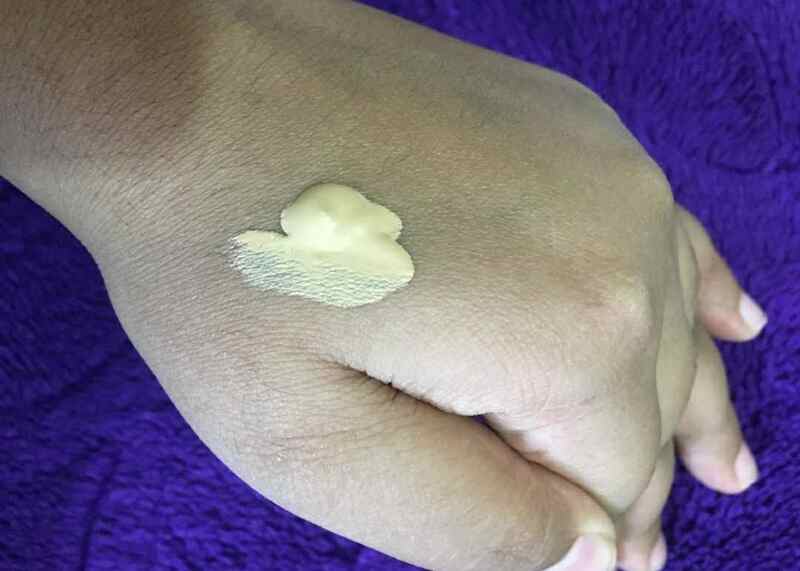 This foundation comes in 10 different shades ranging from 101 to 110. It has a shade for every skin tone. So it’s better that you go on some store offline and swatch the shade that perfectly matches to your skin tone. I am in the shade 105 which is natural beige and it perfectly matches my skin tone. 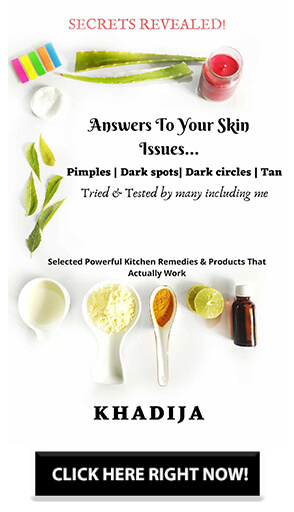 I have combination skin and I have dry spots at different parts of my face. As this is a very mattifying foundation, one needs to use a good amount of moisturizer before applying this. Once I applied this foundation on my face, I had to be really quick while blending it as it was drying so fast. It covered all my imperfection on the face and gave me full coverage at once. After applying it, it gives a completely matte finish. It stayed for about 12hrs on my face without looking cakey. It doesn’t oxidize on my skin which I really love about it. Feels Air-Light on the skin. Provide a good coverage and is very long-lasting. Controls excessive oil on your skin providing you a completely matte finish. As it is too mattifying and drying, it is not a good option for people with dry skin. Not very easy to blend. Can show off your dry patches and pores. I will highly recommend this foundation to people who have very oily or combination skin. It can control oil on your face really well. I will not recommend this foundation for people having dry skin.